Would you or someone in your wedding party like to walk down the aisle to the sound of a trumpet? I charge $350 for wedding ceremonies, which includes a one-hour in-person consultation and my attendance at your rehearsal. Please Note: The prices below reflect my rates for college-aged or adult students. I offer a reduced rate for pre-college students but will only work with younger students on a case-by-case basis. At this stage in my life and career, I am not interested in making regular time in my schedule for any student who is not willing to practice his or her lesson music at least 4–5 times per week outside of sessions with me. If you are in search of lessons for a student who has not yet found the motivation to practice, I will be happy to refer you to one of the undergraduates in our program, who will charge a smaller fee and who will probably be more sympathetic. I charge a flat fee of $75 per lesson for private instruction, which does not increase if your lesson lasts longer than an hour. This fee is due on the date of your lesson. I offer regular lessons to pre-professional students (i.e. college students who are in between degrees or working through embouchure changes) at a reduced rate of $250/month. This fee is due within the first five days of the month unless prior arrangements have been made and includes unlimited lessons during the course of the month. Note that this arrangement is available only to adult (18 years or older) students who are seeking a career in music. All others must pay the per-lesson rate. Although I also offer lessons via Skype/webcam, I have noticed that teaching is generally more productive when we are able to meet in person. If I am not in your area and you think you might like a lesson, send me an email! I travel often and there is always the chance that I may find myself in your neighborhood down the road. If you are a private teacher who would like input on your work, I offer video consultations at a rate of $50 per half-hour of footage (or $80 per hour). In this arrangement, you send me a recording of yourself teaching a lesson and I will watch the entire recording, then provide either written or verbal feedback (your choice) about what you are doing. I offer this service primarily as a way to help new teachers find their footing or as a way to help non-trumpet players feel more confident when teaching trumpet. If you would like me to observe several lessons, I offer a package of ten hours of footage for $650. Some teachers, if they want specific feedback about a specific student, have chosen to sit in on a lesson while I teach the student for my usual rate of $75. If this works better for your situation, this is fine with me! Do you want regular lessons for a lower rate? Send me an email and I will gladly put you in touch with a student I can vouch for. These instructors charge less but are able to consult with me if they have any questions. For additional information, please send me an e-mail at brittany.m.hendricks@gmail.com. 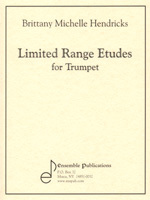 Check out my brand new etude book, available through Ensemble Publications! Dr. Hendricks’s trumpets always travel safely in her Torpedo Bags! Shoot me an email if you are thinking of making the investment and want to know why it’s worth it. Check out SPM if you want to find a way to manage your practicing or your teaching. 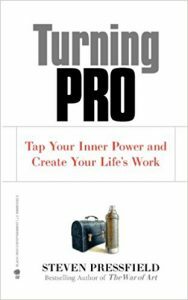 I swear by this system, which has truly changed my professional life for the better. Pressfield’s book provided the motivation I needed to get serious about practicing on a daily basis, no exceptions. Read it if you need a wake-up call.